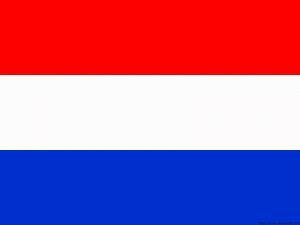 Are you in need of a reliable Dutch translation services provider in Brisbane? No worries! You’re on the right page. We provide fast and accurate Dutch translation services that will suit all your needs. Our experienced project managers will oversee the translation process of your document from receipt to delivery. With an extensive experience in the translation industry, Brisbane Translation has established a team of highly skilled NAATI certified Dutch translators who are more than capable of translating quality and accurate Dutch translations. Get an instant quote by completing the online form on this page at no cost to you. If you are looking for a NAATI accredited Dutch translator, Brisbane Translations has what you need. We ensure that your Dutch translation is on par or better than the source document while preserving its content and meaning. All of our Dutch translations meet Australia’s high standards for quality and accuracy. Our translations can be used for all your legal needs and can be submitted to all government departments and private institutions that require NAATI accredited translations. At Brisbane Translations, your documents are handled with care. Whether you are in need of a medical, technical, scientific, legal, business, financial or personal translation, we provide the most qualified Dutch translator for each field. Upon receiving your document, we match it to our translators who have enough experience in your document’s subject matter. For example, an engineering manual will be given to a translator who has the knowledge and skill to translate your document with accuracy and speed successfully. Want to know how much your translations cost? Complete the form you see on this page, and we will provide you with an exact quote in less than 15 minutes. Yes, we are fast. For affordable Dutch translation services, Brisbane Translation is the way to go! For standard documents, we provide translations for as low as $69 per page. But as each document is unique from one another, our prices vary according to the complexity, deadline and subject matter of the document. In need of fast Dutch translation services? In a hurry? We provide rapid turnaround Dutch translation services. On average, our Dutch translators can complete 3 pages or less document in two to three working days. However, we offer Express and Instant Dutch translation services where you can receive your translation in less than 24 hours. How great is that? Complete the online form located on this page, and we will email you an exact quote for FREE! Just include a copy of your document so we can adequately assess it and send you an accurate quotation. We have handpicked Dutch translators who have a proven track record of high-quality Dutch translation services. All of our translators are NAATI certified. Since NAATI is Australia’s national standards and accreditation body for the translation industry, you’re confident that your Dutch translations all conform to the country’s high standards of translation. Here are some interesting facts and trivia about the Dutch language that you probably didn’t know. There are more than 22 million native speakers of the Dutch language. Dutch belongs to the family of Indo-European languages. The Dutch language is the German and English language’s closest relatives and is even said as an in-between language. As such, it is considered as one of the easiest languages for an English speaker to learn. The Dutch language used today was derived from the Frankish language.